So, you’ve been pre-approved for a mortgage or have the cash put aside and know exactly how much you can afford in Florida’s 30A area for a home. Now, the next step is to check out the new listings on the market and start shopping around for the perfect beach home. But, searching for your dream house can quickly come to a halt if you’re not sure what your ideal home looks like. Sure, it’s easy to think about your future beach home in terms of being a “larger” home or a “newer” home. However, the best way to properly target your real estate search is to think specifically about the individual aspects of your ideal home. For example, instead of thinking about a “larger” home, decide whether you want 2,000 square feet or 4,000 square feet. And, when you say a “newer” home, does that less 10 years old or do you want new construction? Before you go out and start visiting properties, it’s a good idea to sit down and write out a list of everything that you need and want in a home. Keep in mind that your wants will likely change the more you learn about your housing options in the area. For example, a Gulf front home on 30a might start out as one of your priorities, but once you see what’s available in your price range, you might quickly decide that a short drive to the beach say in Point Washington isn’t such a big deal. Below, we’ve come up with a list of eight important questions to ask yourself, which will help you narrow down your real estate search and find the perfect 30A beach home. Which area do you want to be in? Santa Rosa Beach – This area boasts a well-rounded selection of excellent restaurant to choose from, as well as plenty of places to shop. It is also known for its exciting nightlife and entertainment, making it an excellent area for families. Rosemary Beach – To make you feel like you’re right at home, Rosemary Beach has a small-town feel to it and features boardwalks, boutique shops, casual restaurants, and playgrounds. Seagrove Beach – Offering a more private and serene setting than most other beach towns in the area, Seagrove beach is known to be a quiet area with a luxurious feel to it. It is tucked away and somewhat hidden; however, it is still close enough to the area’s main attractions that you’ll still have access to everything you need. 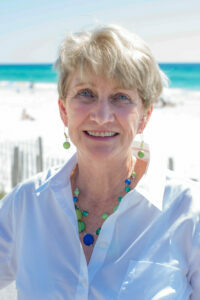 Is your realtor knowledgeable about the 30A real estate market? Remember that not all realtors are experts in all areas of real estate. Some realtors, for example, might specialize in selling condominiums to single professionals, while others might only be more knowledgeable about selling bungalows and family homes. As such, you’ll want to make sure that you work with a realtor who specializes in selling homes in the 30A area. How much are you looking to spend on your home? It’s obvious that price will play an important factor in finding the right home for you. While we all wish we have an unlimited budget when it comes to house shopping, the truth is that most of us have limits and will have to stick within our price range. Therefore, before you get too far into house shopping, it’s important to sit down and find out how much you can truly afford to spend on your mortgage. It might be a good idea to speak with your bank or financial advisor to get a realistic picture of what’s within your range. Will the home be your primary residence? Vacation home? Rental property? This is crucial when it comes to finding a beach home that is right for you. While there are certain things that will be absolutely necessary if you want the house to be your primary residence, if it’s only a vacation home or rental property, there are more than likely a few amenities and features that you can go without. Are you looking to do upgrades or do you want a house that is move-in ready? Of course, nobody wants to buy a run-down shack that’s practically ready to fall over. But, if you have the time (and budget) for it, you might want to consider buying a home that needs a little bit of work. These homes will typically be selling for slightly less than move-in ready homes; and doing a few upgrades before moving in is an excellent way to add your own touch and truly make your new house feel like your home. How close do you want to be to the beach? Beachfront homes can cost significantly more than homes that are a bit further away. Keep this in mind while house shopping and consider whether you’re willing to take a short drive to the beach to save on housing costs or if it’s absolutely necessary that you find a location that is within walking distance or closer to the beach. How close do you need to be to conveniences like groceries, public transport, etc.? Depending on your individual circumstances, a house that’s far away from amenities such as grocery stores and shopping might not be a good idea. For example, if you don’t drive, you’re going to want to find a home that’s somewhat close to public transportation routes. Or, if you’re feeding a family of five, having a grocery store nearby might be a good idea. Do you have any young children that will be moving with you? If you have children, there are several things you need to consider such as your home’s distance from schools, as well as the different school districts in the area. It might also be a good idea to try and find a home that is closer to a medical facility. Remember that when shopping for beach homes in the 30A area, it’s important to sit down and figure out what you truly want and need in a home. Don’t settle for vague ideas such as wanting a “larger” or “newer” home. Make sure to set out on your real estate search with a solid understanding of what you’re looking for. So, by asking yourself these eight questions first, you’ll be much better suited at finding the perfect 30A beach home. 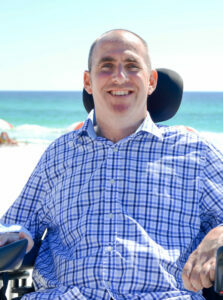 Eric Worral has owned and managed rentals for over 9 years. Currently, he’s the Marketing Director at RentPrep, a tenant screening & credit check service for landlords and property managers. He’s also the co-host of the “RentPrep for Landlords” podcast where he shares tips and insights on managing your rental properties.